European Union and Iran agree to strengthen dialogue aimed at preserving the Joint Comprehensive Plan of Action, EU foreign policy chief Federica Mogherini said. After a 90-minute meeting between Iran and the foreign ministers of Britain, France and Germany and the EU foreign policy chief, Mogherini said that the talks were aimed at developing concrete steps to support the Iran Nuclear Deal. 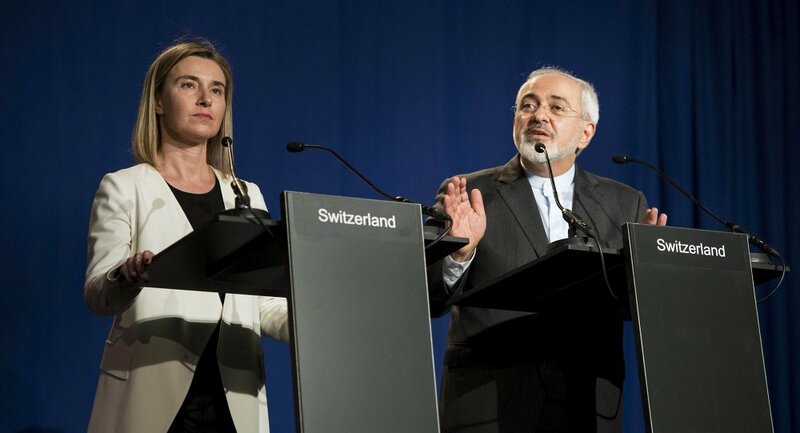 Federica Mogherini said that the nuclear deal didn't require additional work or any amendments. She also added that EU and Iran would hold a meeting on JCPOA in Vienna next week at the level of political directors. The EU foreign affairs chief also said that Brussels and Tehran had begun expert discussions in various areas, including energy, finance and transportation cooperation, after the US withdrawal from the Iran nuclear deal. "We undertook in particular the launch of experts discussions, which as I said, have already started today with Iran, addressing the following issues with a view to arriving at practical solutions within the next few weeks. First, maintaining and deepening economic relations with Iran; second, the continued sale of Iran's oil, gas, condensate, petroleum products, and petrochemicals, and related transfers. Three, effective banking, transactions with Iran; four, continued sea, land, air, and rail transportation relations with Iran," Mogherini said after her meeting with the foreign ministers of Iran, France, Germany, and the United Kingdom dedicated to the implementation of the Iran nuclear deal. Mogrerini also mentioned such areas of dialogue between the European Union and Iran as further provision of credits to Tehran and development of special mechanisms aimed at facilitating economic and financial cooperation; development and implementation of contracts between EU and Iranian companies; carrying out investments in Iran; protection of the EU economic operation and ensuring legal certainty; and ensuring the transparent business environment in the EU-Iran relations. Earlier, Donald Trump pulled out from the Joint Comprehensive Plan of Action (JCPOA), which is commonly known as the Iran nuclear deal. The US President also pledged to reinstate the sanctions against Iran, which were lifted as part of the agreement. Does Withdrawal From Iran Nuclear Deal Mean Neocons Are Back in Charge?